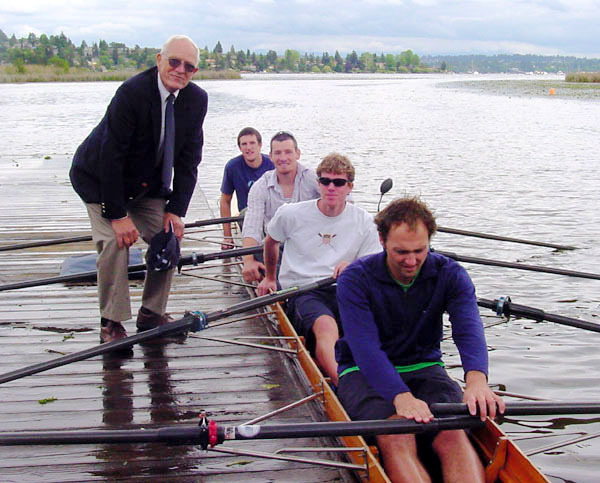 Our wonderful friend and great rowing coach, Frank Cunningham, died on March 5, 2013 in Bellingham after failing to recover from a broken hip, pneumonia and MRSA. He was 91. His memorial will be on Saturday, April 13 at 11:30 am at Lakeside School in Seattle. Read article in the Seattle Times. 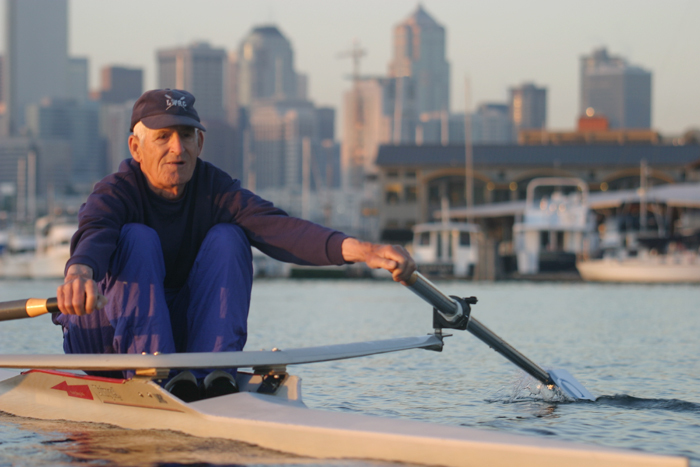 Nice history of rowing in Seattle narrated by Frank Cunningham. 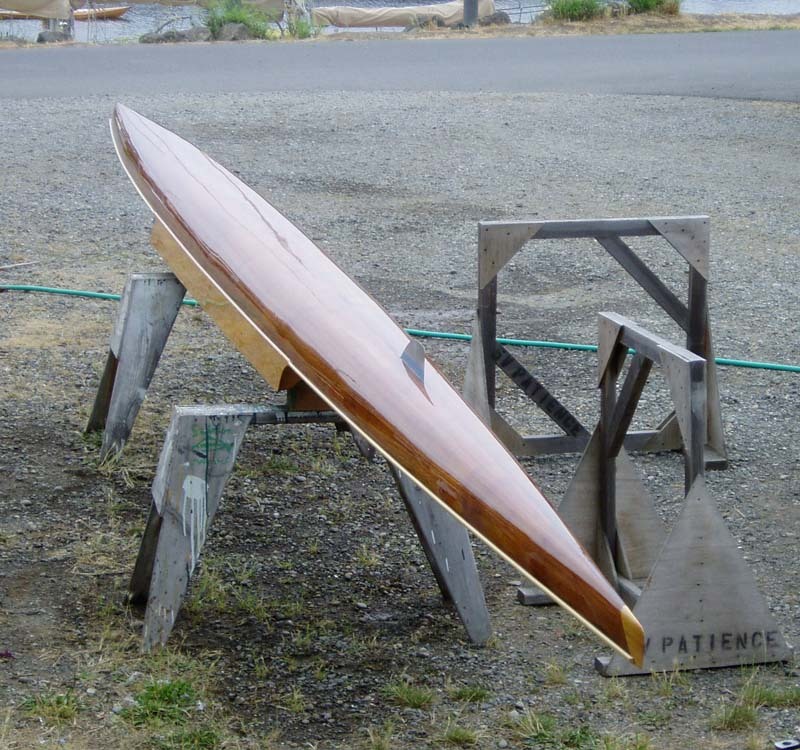 In a magnanimous gesture the Northwest Maritime Center (NWMC) has transferred the Pocock Classic Cedar Single Project to Steve Chapin, Master Boat Builder, owner of Point Hudson Boat Shop, llc. To generate publicity and get Steve off to a good start the NWMC has decided to auction a boat Steve recently built - the New Pocock Classic Cedar Heavyweight Teardrop which is displayed in the Chandlery at the NWMC in Port Townsend. Until now Steve's shells have gone to people who, out of an appreciation for the craft and historical preservation, have donated $20,000 to the Project. These boats may be the best wooden shells ever built. For more about the new Pocock Classic Cedar Single Wooden Racing Shell that will be auctioned on ebay, click here. What do you get when you cross a violin maker with a boatbuilder? Steve Stone of Off Center Harbor imagined it in a video he shot last fall. "It might look something akin to what happens at the Point Hudson Boat Shop in Port Townsend, Washington" said Steve. "We visited Steve Chapin who has taken over producing the Pocock Cedar Racing Single after the Pocock Co. made it's last wooden shell in 2003. Pocock Shells set the standard for most of the 20th Century in Collegiate and Olympic rowing. With equipment and cedar stock from Pocock and his own boatbuilding skills, Steve Chapin is carrying the Pocock Classic Cedar Single tradition into the 21st century." Worth watching. On the Pocock Classic Cedar Singles facebook page Don Costello announced today that he purchased the 1968 Pocock 2x/2- that Steve Chapin refinished. See 7/9/12 article below. 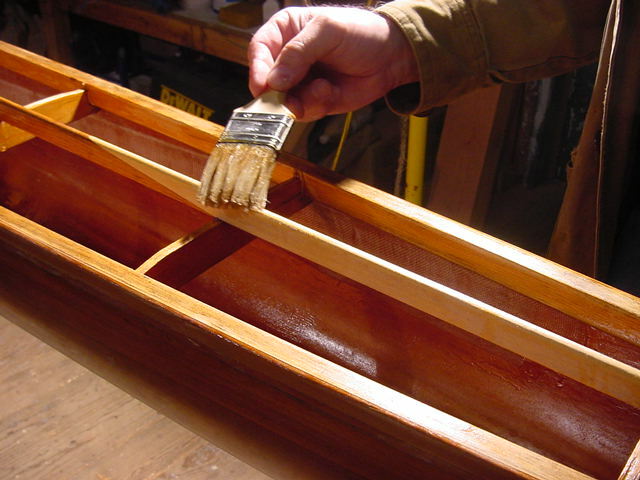 "Time to crow a bit...I purchased 1968 Pocock 2x / 2- SERAPH fka ALAMEDA (by which it shall henceforth be known) from Tom McCurdy along w a mountain of riggers and wooden sculls and oars. Will pick up from Steve's shop next Spring after he completes restoration. A nice complement to my 2009 Pocock Classic 1x BETTER ANGEL. 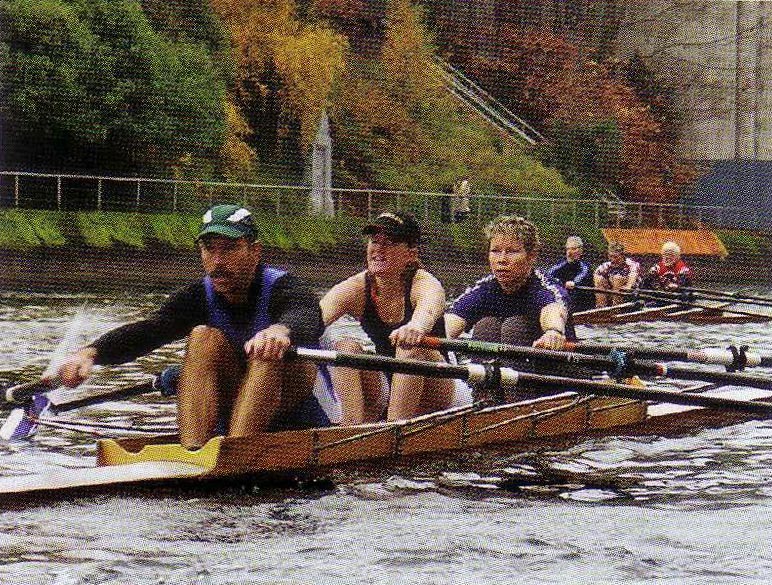 Don Costello"
Our Triple, rowed by Ted Shoulberg, John Collins and Jim Buckley, was featured in an article by Andy Anderson on the last page of the October, 2012 issue of "Rowing". Briefly we were ahead of the Lake Washington crew in their triple. It was a head race and we started first. They soon passed us. 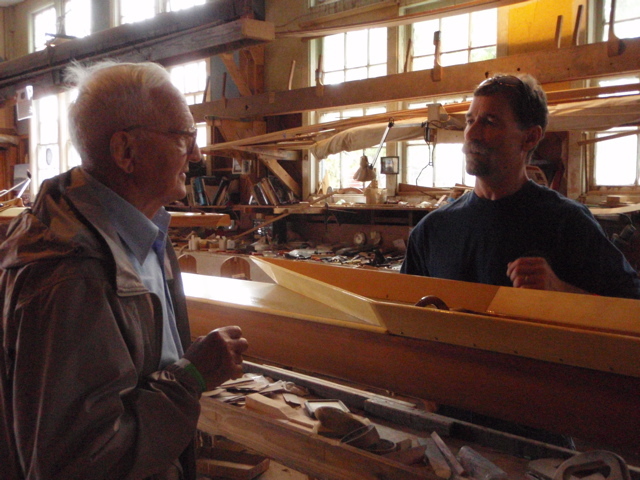 PRINCETON, N.J. - USRowing is pleased to announce that Stan Pocock, an innovative boat builder, oarsman and life-long collegiate and international champion coach, has been selected as the recipient of the 2012 USRowing Medal of Honor. Given in recognition to a member of the rowing community in the United States who has accomplished extraordinary feats in rowing, it is the highest honor USRowing can bestow. Pocock, 89, will be honored at the Golden Oars Awards Dinner on Wednesday, November 14, at the New York Athletic Club in New York City. read more..
At the rewards ceremony today, after the wooden boat rowing race, which was part of the 2012 Wooden Boat Festival, Steve Chapin presented the Pocock Trophy to Erica Delma for all the work she has done to train novice and junior rowers, for arranging for Conal Groom to come to Port Townsend to coach sculling and for helping to organize the Rat Island Regatta. 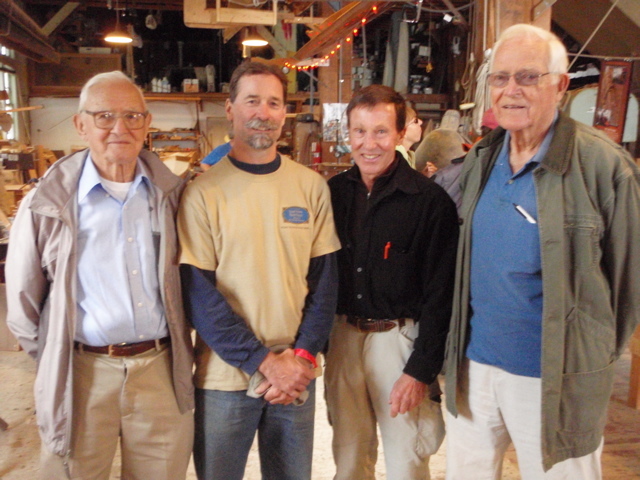 Last Spring the Ancient Mariners of Seattle had presented the trophy to Steve Chapin for the work he has done to promote the Pocock legacy by building cedar single rowing shells in the Pocock tradition. 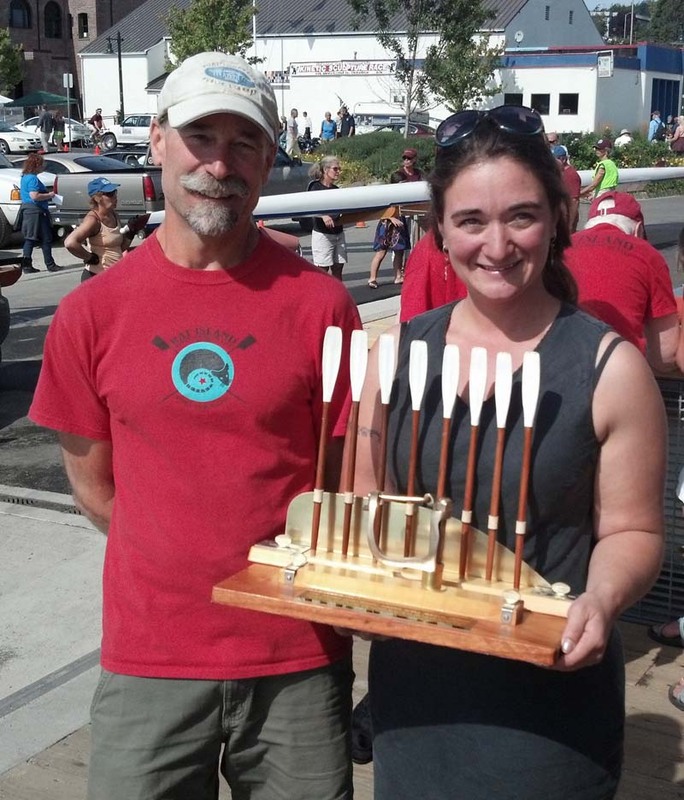 The trophy, made by Guy Harper with a fin and brass oarlock donated by Stan Pocock, will be kept in the trophy case at the Northwest Maritime Center in Port Townsend, said Steve. 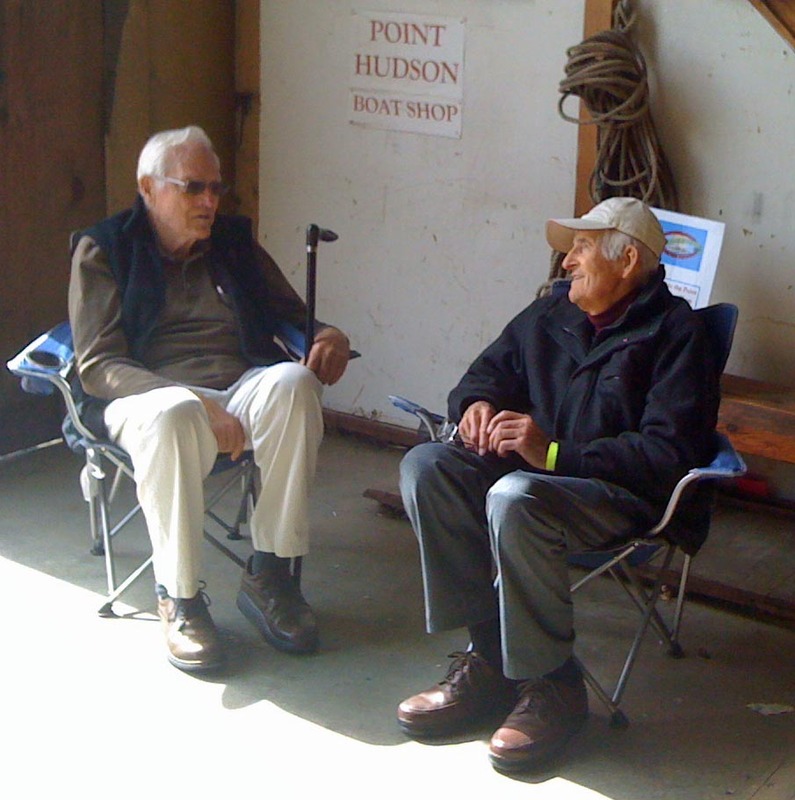 In the words of Guy Harper, The Pocock Trophy "will be presented annually by Steve Chapin to the individual or group in Port Townsend that demonstrates the greatest promotion or participation in this sport of rowing....and so the Pocock legacy will be carried on for years in the future." It might also be called the Pocock Spirit Award, according to Steve Chapin. Steve is restoring a 1968 pair/double. This picture shows the "near perfect" hull ready for gossamer cloth and varnish. 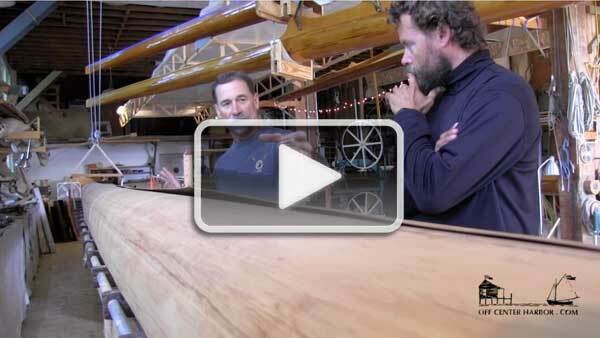 The boat won "Best Rowing Shell" in the Victorian Wooden Boat Show on September 2, 2012. 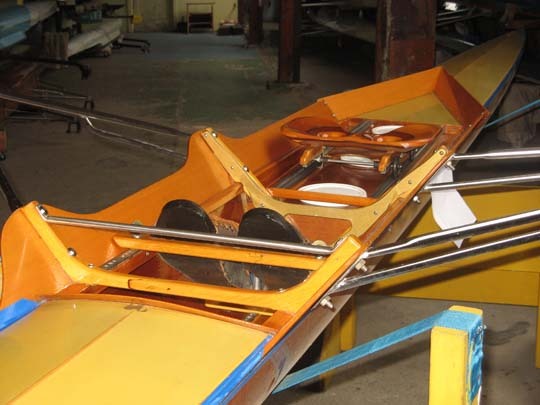 It is for sale with both pair and double riggers, sweeps and two pair of sculls. Contact Steve at 360-385-6863 if interested. More about boat. Speaking of boats for sale, two of the singles advertised on our used boats page have sold. There is a market! 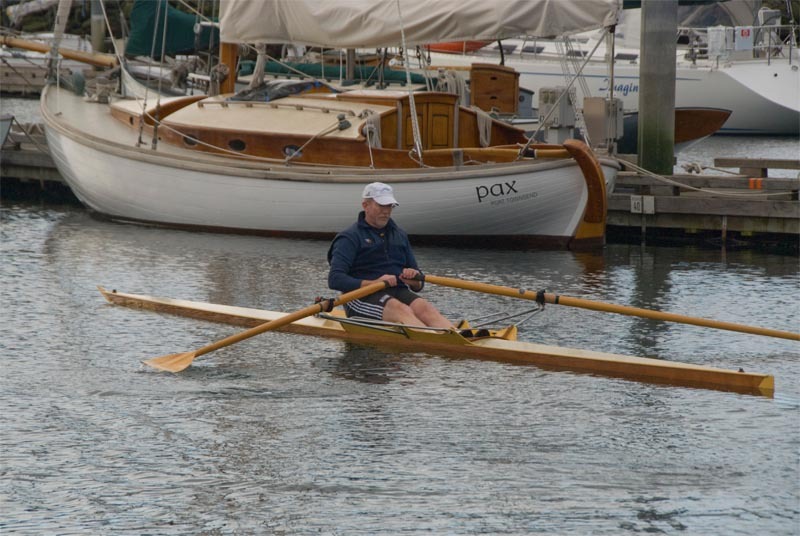 Don Costello, one of the first owners of a Port Townsend-built Classic Cedar Single Racing Shell, has started a website to "advocate rowing and rowers". He also explains the choice of "Better Angel" as the name for his prized Cedar Single. Read Don's Travelogue. Forget Everything You've Heard About Style - Just Row at 50 Strokes per Minute. On the way to Head of the Lake - where Steve Chapin and Robert Meenk each rowed one of Steve's Port Townsend-built Classic Cedar Single Racing Shells (See the results) - we got talking about the difference between a "Standard" Pocock hull shape and a "Teardrop". 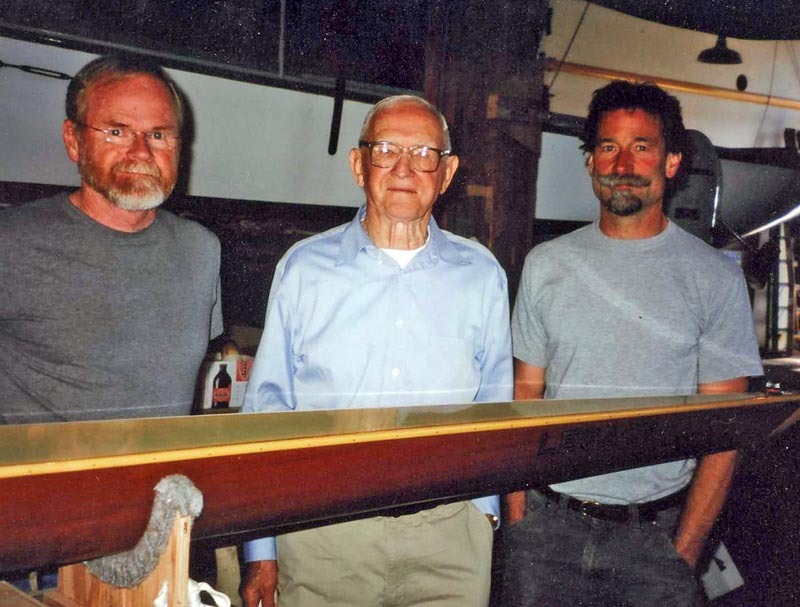 The "Teardrop", we knew, was designed specifically for Joe Burk by George Pocock and is a little fuller in bow and narrower in the stern. I didn't know much about Joe Burk except that he coached at Penn and later rowed with Harry Parker who coached at Harvard. I just assumed he hung out in bow so needed a little more buoyancy up there. Then John Robinson chimed in and said that Joe used to row at 50 strokes per minute! And that got me looking for more about Joe. Well, talk about squaring up early or flip catching, Joe Burk was from a different planet - "had his own style", said the commentator as he obliterated the record in the Diamond Skulls at Henley in 1938. 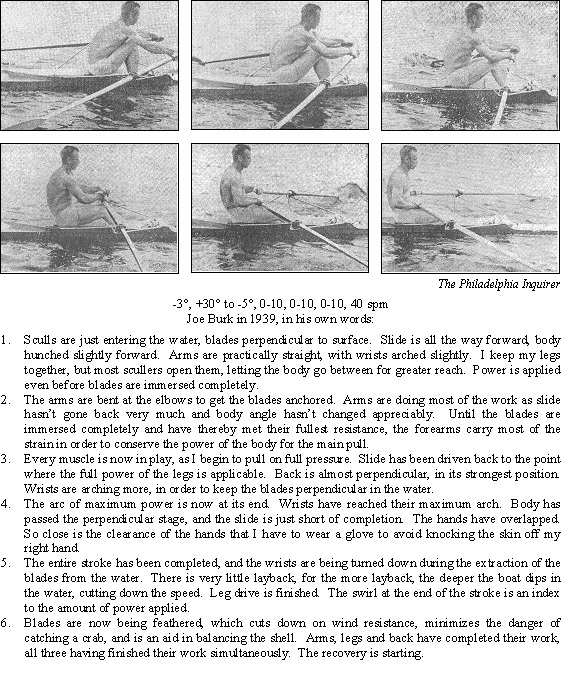 For an interesting article on Joe Burk and on rowing history read the article on Joe Burk by Peter Mallory at www.row2k.com. There are some great used Pocock Cedar Singles for sale at excellent prices. The McLean boat just got a full price offer. Don't miss out. Take a look at the listings. We've added a discussion page so we can share the interesting letters, pictures and email messages we get. Click here. 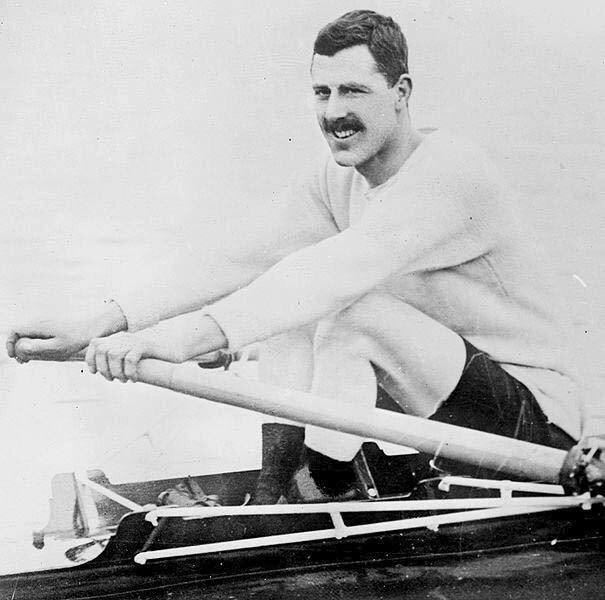 "A History of World Rowing"
Peter Mallory is writing a most authoritative work on the subject of rowing. The book, "A History of World Rowing" in four volumes is being serialized on www.rowperfect.co.uk Peter's own website is www.rowingevolution.com. Definitely worth a look - and, to make it easy, I have posted his chapters on the Pococks and the University of Washington Dynasty here. A Pocock Cedar Single shell, built in Port Townsend by Steve Chapin, is featured in the Eddie Bauer Christmas Catalog. Get one for each of your loved ones. 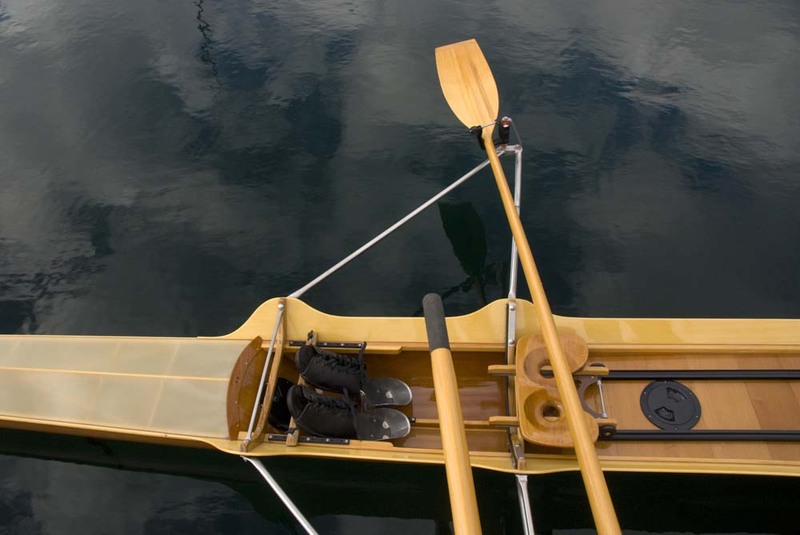 "It is the best boat I have ever rowed." Two of my friends and fellow Willamette Rowing Club members rowed my Pocock Cedar Classic, Better Angel, this summer. I'll document their laudatory comments in articles soon to be submitted for posting on the Pocock Classic website. For now, I'll offer a couple of teasers. Stu Brown and Better Angel, rowing against excellent competition, won the silver medal in the G men's single at Northwest Masters Championships in very fast time, considering the adverse water and wind conditions; and Tiff Wood, since the 1970's one of the world's pre-eminent rowers and scullers, said about Better Angel after pulling it to the dock, "I like it. I like it a lot!" I have rowed Better Angel multiple times at the Oakland Estuary. The Cal folks and national team rowers there marvel at it and ask for it when I don't bring it down. The Pocock Classic Cedar Single is far more than a pretty face. It rows beautifully and it is fast. It is the best boat I have ever rowed. And that's high praise from a rower who rowed at Cal, coached at U of Oregon, founded the rowing program at Lewis and Clark and is currently a competitive masters rower. - Ed. 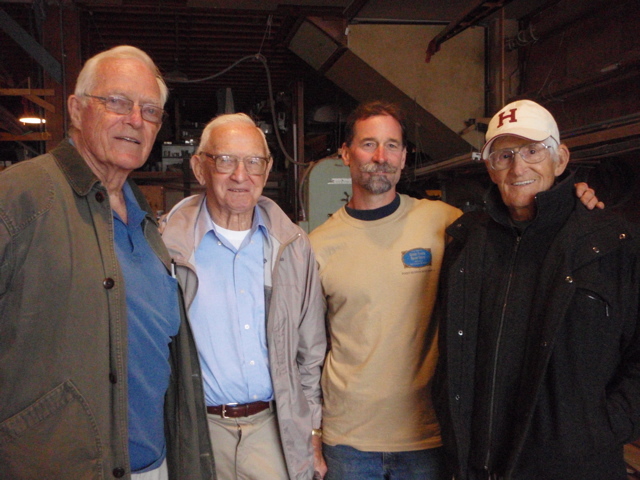 Here is a picture of Oscar Peterson (middle) taken in the Hudson Boat shop in 2007. Oscar worked in Forks and personally selected and milled the old growth cedar for George Pocock years ago. Steve C. has some of those cedar cants. Oscar is a friend of mine and is great guy. He and I came to PT a couple years ago for him to meet Steve and see what Steve was doing. "Gods and Goblins" by Smitty Parratt. Oscar is on the cover.... a picture of him on his horse on the High Divide after he just returned home from WWII. "High Divide" by Gary and Glynda Peterson, Oscars children. Story about his mother, Mini Peterson, a pioneer packer in the Olympics.